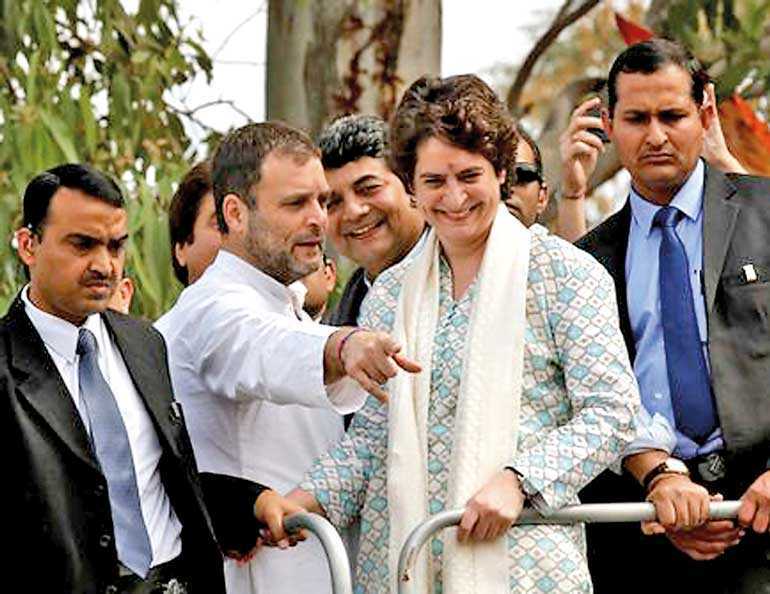 Lucknow, India (Reuters): Priyanka Gandhi Vadra made her political debut on Monday with a roadshow drawing thousands in India’s most populous state months before a general election due by May. Congress President Rahul Gandhi pulled a surprise last month by appointing his younger sister a party general secretary. She will also be its face in Uttar Pradesh, the state that sends the highest number of lawmakers to the Lok Sabha and is currently dominated by Prime Minister Narendra Modi’s ruling Bharatiya Janata Party (BJP). The 47-year-old Priyanka - she is usually referred to by just her first name - bears a striking resemblance to her grandmother, former Prime Minister Indira Gandhi, and is known for her gifts as a speaker able to connect with voters. Congress hopes that the eyeballs she’s able to generate will turn into votes.“It’s like Indira Gandhi has come back,” said Fuzail Ahmed Khan, 45, a Congress supporter. “The state’s farmers want Rahul Gandhi to be Prime Minister, Priyanka to be chief minister.”Indira Gandhi, India’s only woman prime minister, known as the “Iron Lady”, was criticised for suspending civil liberties for nearly two years starting in 1975.Posters of Priyanka lined the streets of the state capital, Lucknow, and hundreds of Congress supporters, accompanied by drummers, chanted her name after she emerged from the airport with her brother. Although Priyanka has helped manage elections for her brother and her mother, former Congresws chief Sonia Gandhi, she has never held an official party post until now. From 21 seats in Uttar Pradesh in the 2009 general election, Congress’ tally fell to just 2 in 2014.